A fast-action sci-fi thriller about corporate greed, high-tech, industrial espionage, and… time travel! A collision between a UFO and a US prototype spy plane on the edge of space starts an international race to recover the alien technology. The UFO appears to crash land on a beach in Northern England, only to disappear minutes later. MI6 are tasked with helping the CIA find the missing UFO. The only clue is a mysterious cat women seen near the scene of the crash. The following morning, a young woman wakes up in a service station. Memories of her ordeal the night before flood into her mind. Her only chance of returning to her world is to find a scientist who shares her field of research and persuade him to help her. If you want more of the story, why not read the free sample pages on Amazon; or if you prefer, read the sample on Goodreads. 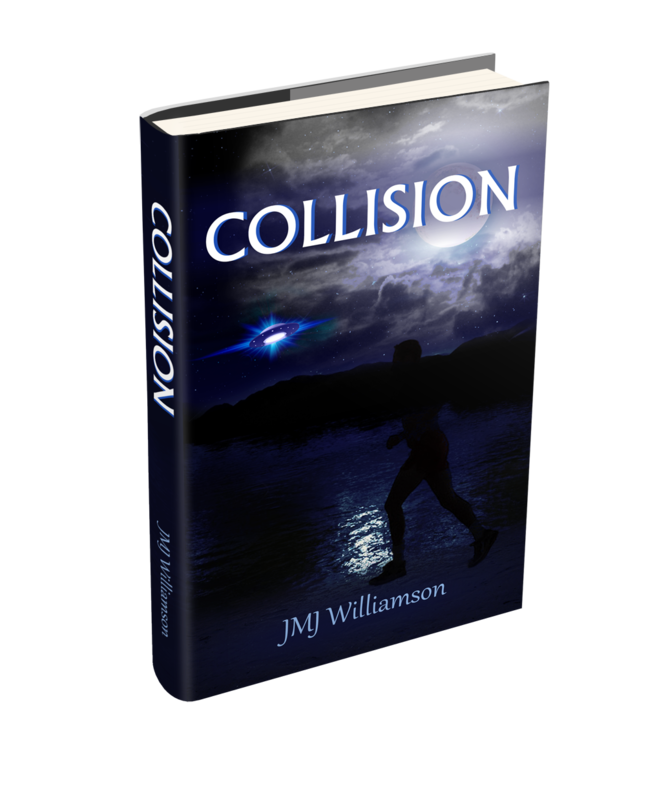 Want to read a detailed review of Collision? Check out Readers’ Favorite five star review on their web-site here. The e-book is available on Amazon. Epub versions of the book are available on iBook, Nook and Kobo and other readers through most e-retailers (ISBN 9781483509136). The paperback version of the book is available on Amazon and other retail outlets (ISBN 9781494385521). If you have read it, and enjoyed it, why not post a review on one of the web sites above using the links provided. I would love to hear what you think.